Anytime a popular product undergoes a change, especially when the name if the brand is impacted, it’s bound to create a certain amount of confusion – especially among long-time users. At least some of you may have noticed that the Visual Composer Page Builder appears to have disappeared from the scene. Highly popular page-building tools don’t simply go away, any more than long-time favorite breakfast cereals simply vanish from the marketplace. To add to the confusion, you still see the Visual Composer Website Builder advertised, which could lead some to think that the Page Builder was simply swallowed up by the Website Builder. Nothing could be farther from the truth as the two are quite different animals, although not totally different in some respects, and we would like to apologize to our users and our long-time partners for the confusion we’ve created. Our apology and some clarification is the purpose of this article. The Visual Composer Page Builder is still with us, but under a different name. The Visual Composer Website Builder is still with us too, and the name remains the same. Why did we rename the Visual Composer Page Builder? We didn’t want to, but we really had no choice. The problem we faced was caused by the emergence of our new product – the Visual Composer Website Builder, which is entirely different from the Visual Composer Page Builder, and serves a different purpose. The Website Builder is not as some have been led to believe, a souped-up version of the Page Builder. The VC Page Builder is an Envato-exclusive product that features a lifetime license; just like all the other products sold by Envato. The VC Website Builder is a much more complex product whose development costs are simply too high to be supported by a lifetime license. Because of these high costs, it made more sense to switch the VC Website Builder to annual licensing. Problem solved? Not quite. Marketplace contract limitations would not allow us to sell a product outside the platform using the VC name. Option 1. By changing the name of the VC Page Builder, we could free ourselves of the contractual limitations involved in selling it. Changing a familiar and popular name was something we were naturally reluctant to do. Option 2. We could slim down our new product (the VC Website Builder) to the point that the lower development costs would nicely fit in with the lifetime license model. The problem with Option 2 was that the VC Website Builder would be far less flexible and powerful than planned, which was in direct opposition to the route we intended to take. In the final analysis, we looked at Option 1 as the lesser of two evils, and we decided that a name change was more palatable than compromising on the quality of our new product. So – we changed the name of the Visual Composer Page Builder to WP Bakery. Check out the following video if you’re interested in knowing about the name change in greater detail. We though we solved our problem, but we failed to anticipate the confusion the name change would cause. Users wondered where the VC Page Builder disappeared to. They wondered if VC Website Builder was the Page Builder under a new name, an enhanced Page Builder, or something entirely different. And, they wondered what WP Bakery had to do with anything. The explanation: We have two plugins, the Visual Composer Website Builder and WP Bakery. Let’s see what sets them apart. WP Bakery is simply the new name for the Visual Composer Page Builder. Only the name has changed. All the features you loved and worked with are still there. What is the Visual Composer Website Builder? 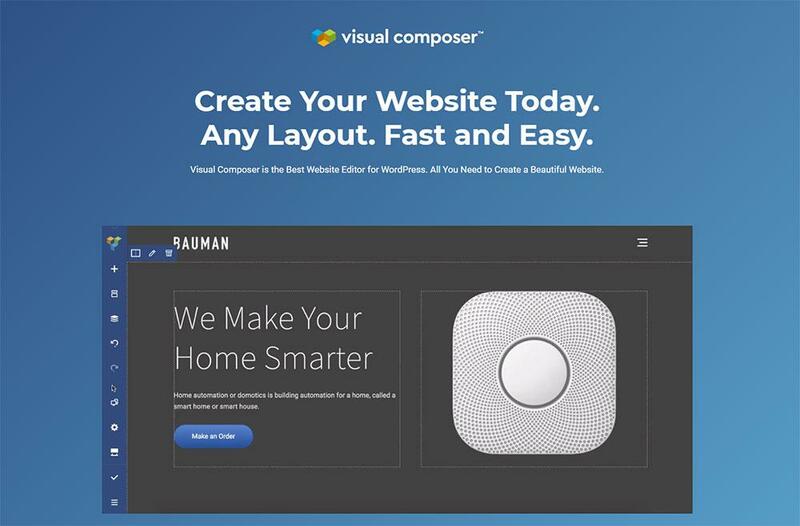 The Visual Composer Website Builder is a brand new tool, and NOT a premium version of the former Visual Composer Page Builder as some may have been led to believe. With the VC Website Builder, you can create an entire website from scratch, and do so easily thanks to its drag and drop features and a large and diverse selection of WordPress templates to work with. There are templates for a variety of page types, plus you can use the VC Website Builder with any WordPress theme. Pages can be edited with the front-end editor and the tree view. The latter allows you to see your changes in real time – a definite time-saver. 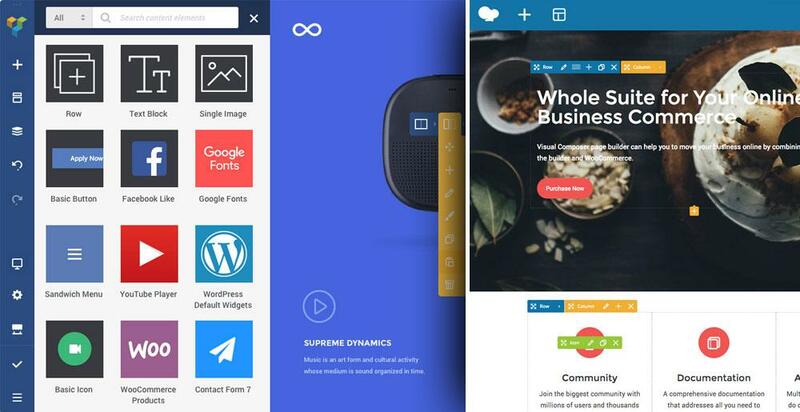 Both a free and a Premium version of the VC Website Builder are available. The Premium version has, as you would expect, several additional features including one that really stands out as it allows you to access the header, footer, and sidebar editor. What’s the difference between WP Bakery and Visual Composer Website Builder? 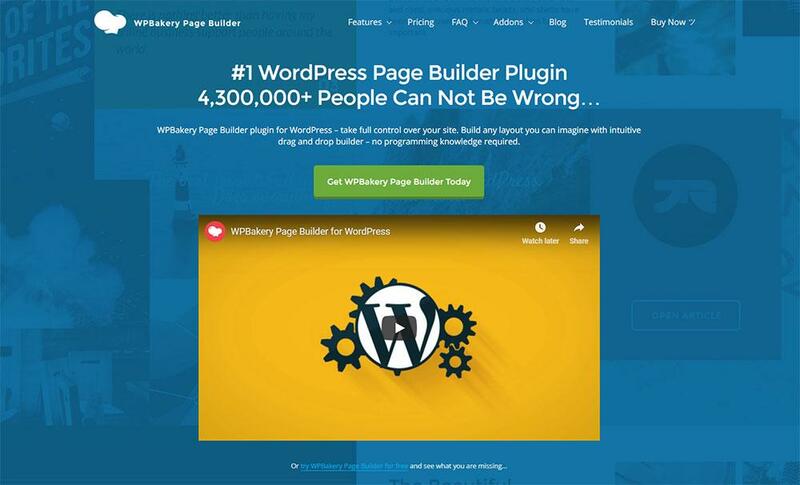 Notice that WP Bakery can only be used for the content part, while the Visual Composer Website Builder allows you to build a complete website from scratch. Also, WP Bakery is shortcode-based, while the VC Website Builder is not. By not using shortcodes it allows you to generate clean code and also avoid nuisance problems when you disable the plugin. You can find the complete list of differences between WP Bakery and VC Website Builder here. Another thing to like about the VC Website Builder is the cloud-based Hub where you’ll find an array of interesting and useful design elements and add-ons to help you turn your visions and ideas into realities. Each product comes with its own set of features and benefits. While we’ve worked hard to develop VC Website Builder, we haven’t forgotten about WP Bakery. So far, only the name has changed, but we’ll always be working hard to provide the best customer experience possible – for both products.